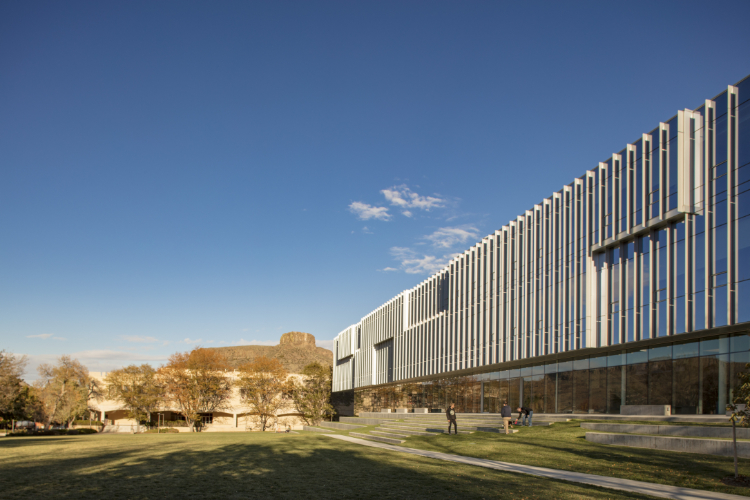 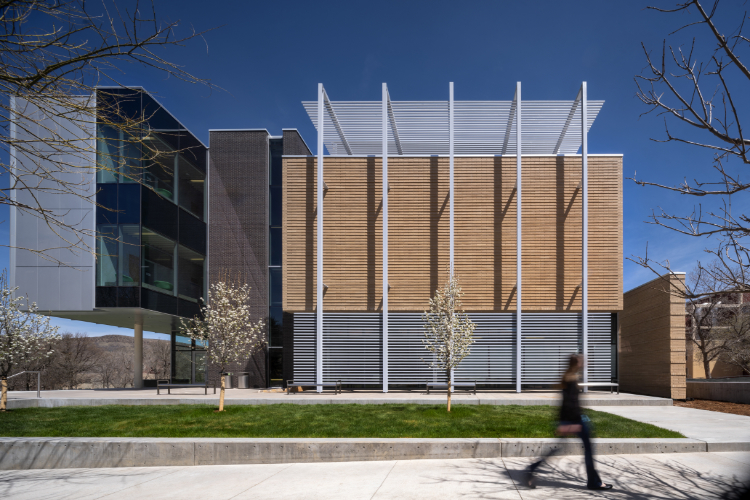 The new CoorsTek Centre at the Colorado School of Mines – an education and research facility dedicated to connecting students, faculty, researchers, and industry professionals – designed by Bohlin Cywinski Jackson in association with Anderson Mason Dale Architects is now complete. 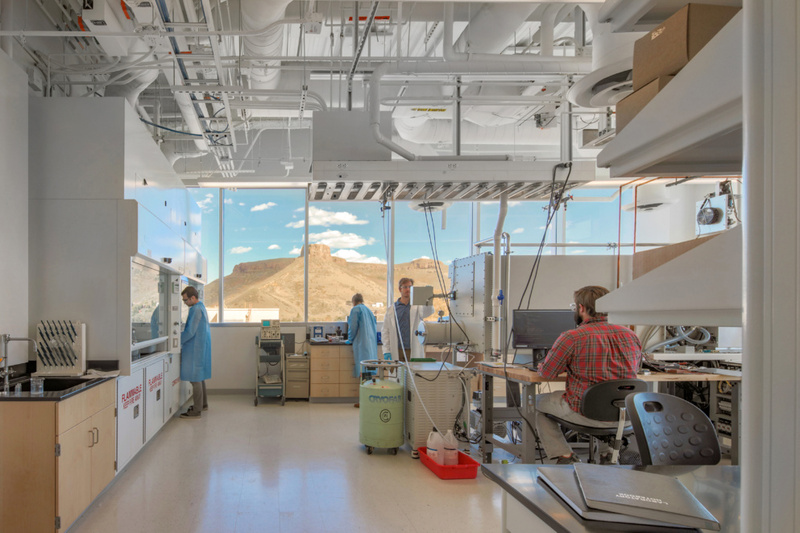 Located in Golden, Colorado, in the heart of campus, the four-story building is a significant milestone in a multigenerational partnership between Mines, the Coors family, and CoorsTek, a leader in technical ceramics manufacturing. 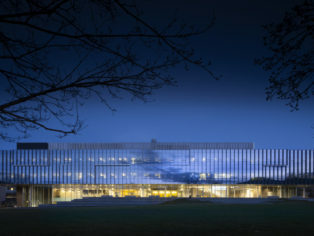 The new centre supports a broad range of academic and research activities and is home to the College of Applied Science and Engineering (CASE) and Department of Physics. 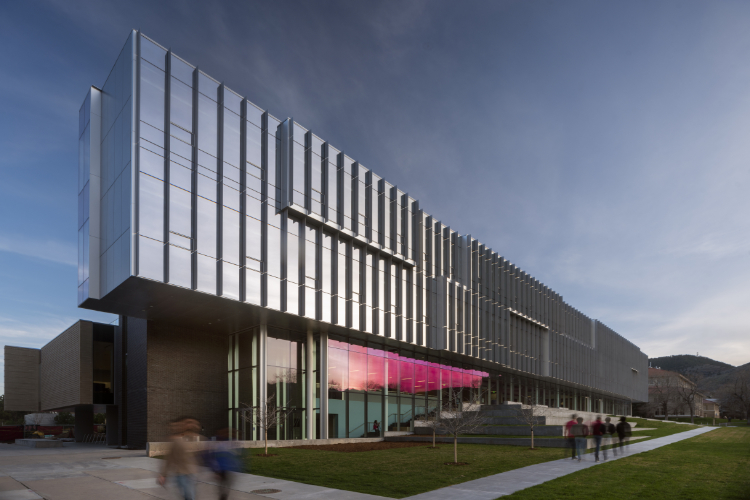 The design facilitates collaborative partnerships among the college’s three other departments and two interdisciplinary programs: the Department of Chemistry and Geochemistry, the Department of Chemical and Biological Engineering, the Department of Metallurgical and Materials Engineering, the Materials Science Program, and the Nuclear Science and Engineering Program. 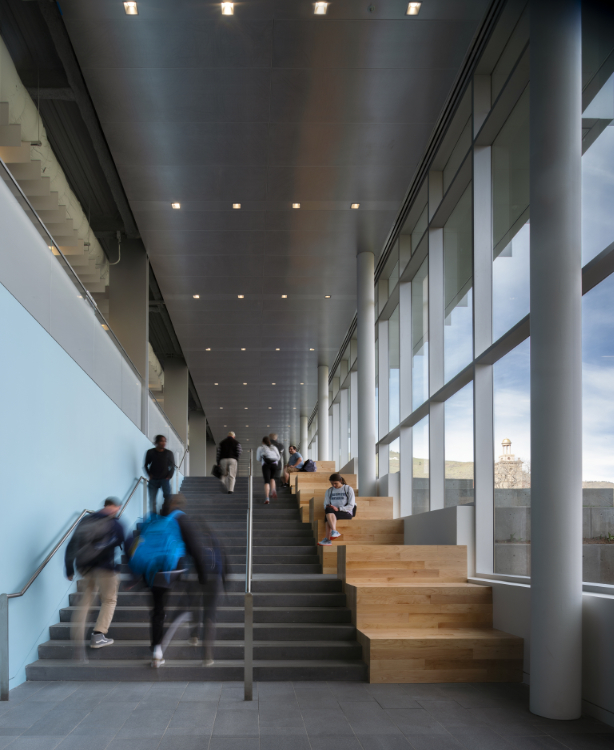 The building’s design employs massing and materiality to connect to the site’s historic context and the omnipresent Front Range landscape. 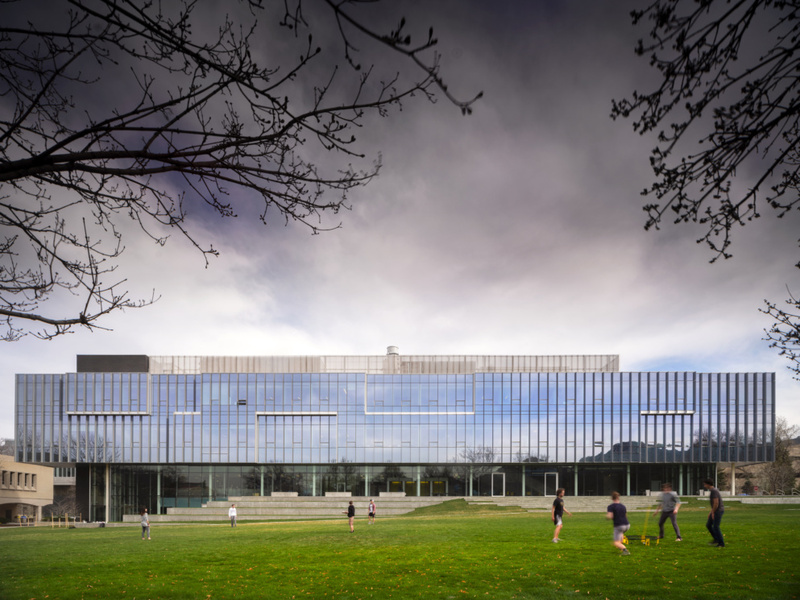 Its metal and glass facade is vertically punctuated by service cores clad in dark masonry, which help to anchor the building’s entrances. 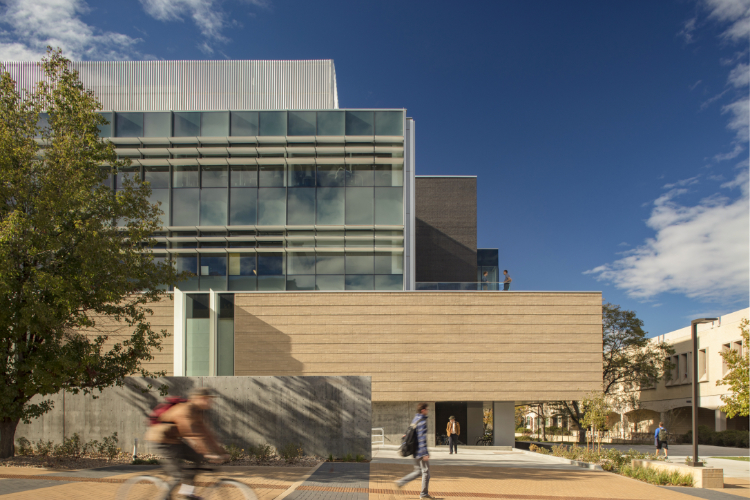 Floating horizontal masonry panels made of the signature pale brick used extensively throughout campus add visual interest and introduce a forward-looking aesthetic utilising the historical palette. 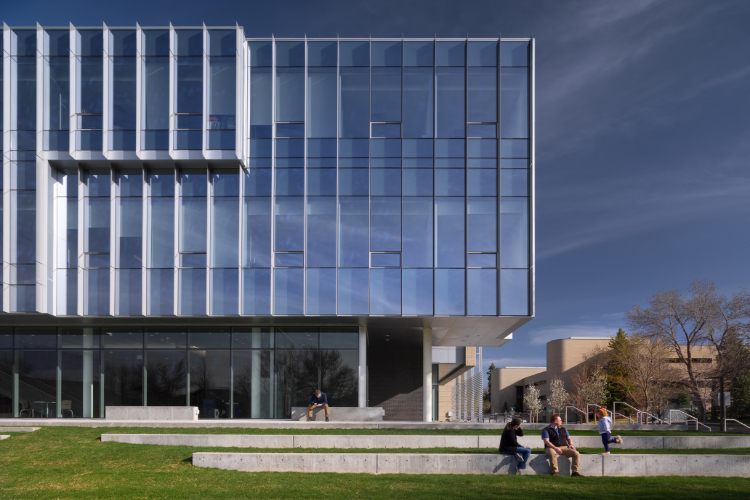 The northwest exterior, which fronts the popular campus green, Kafadar Commons, consists of full-height glazing at Level 1, and vertical glass panels and metal fins at Levels 2 and 3 that float above and modulate as influenced by the building’s interior program. 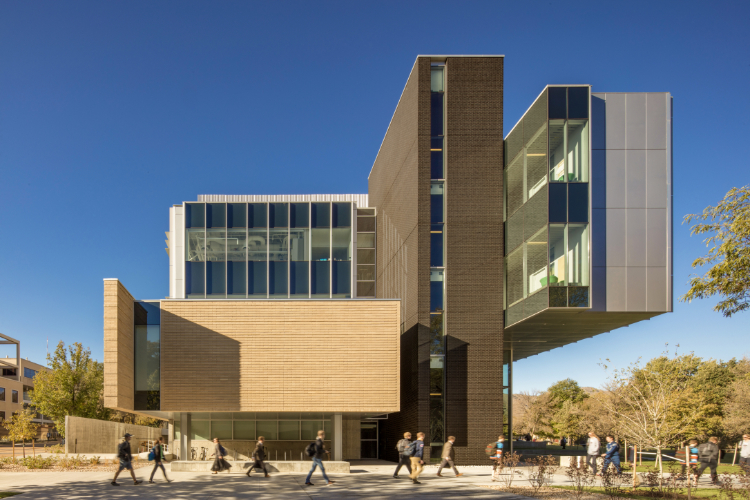 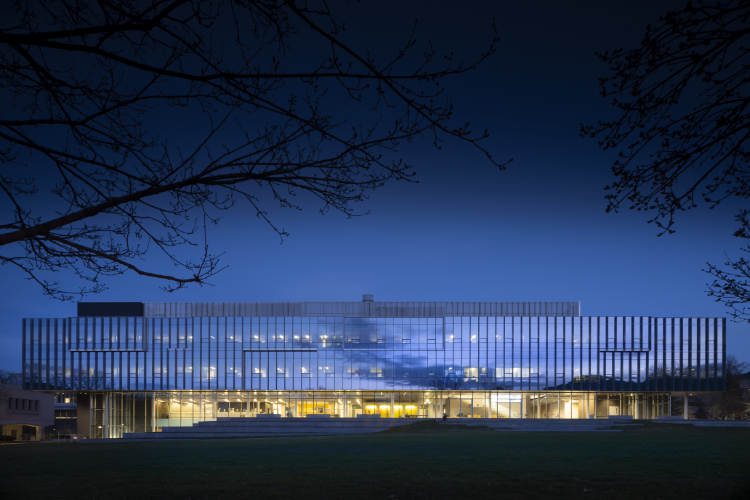 While the centre is designed to accommodate CASE, the larger campus need for general classroom space provided an opportunity to draw students and faculty of all disciplines through the building. 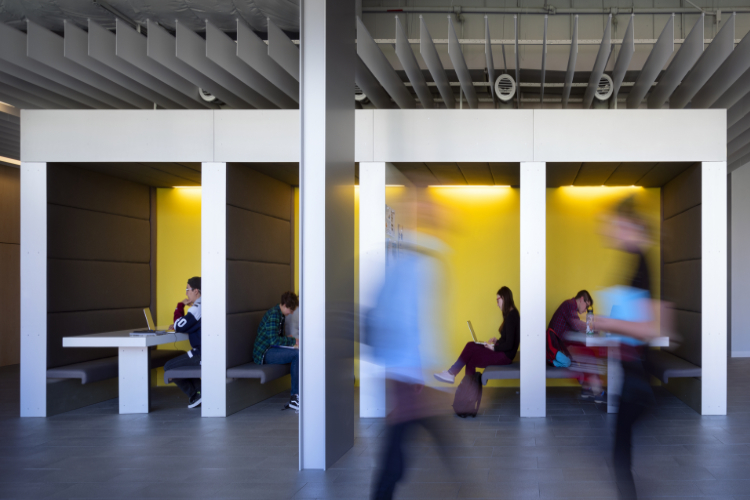 Media-intensive ‘Active Learning’ rooms are flexible and can be rearranged for group work and discussions as curriculum dictates. 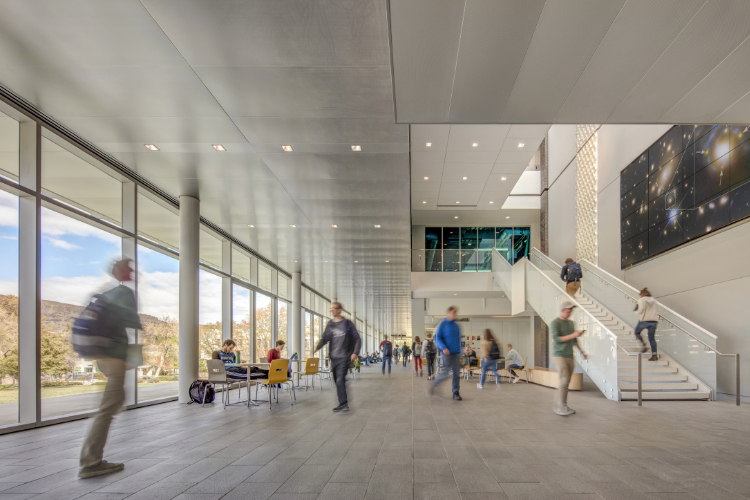 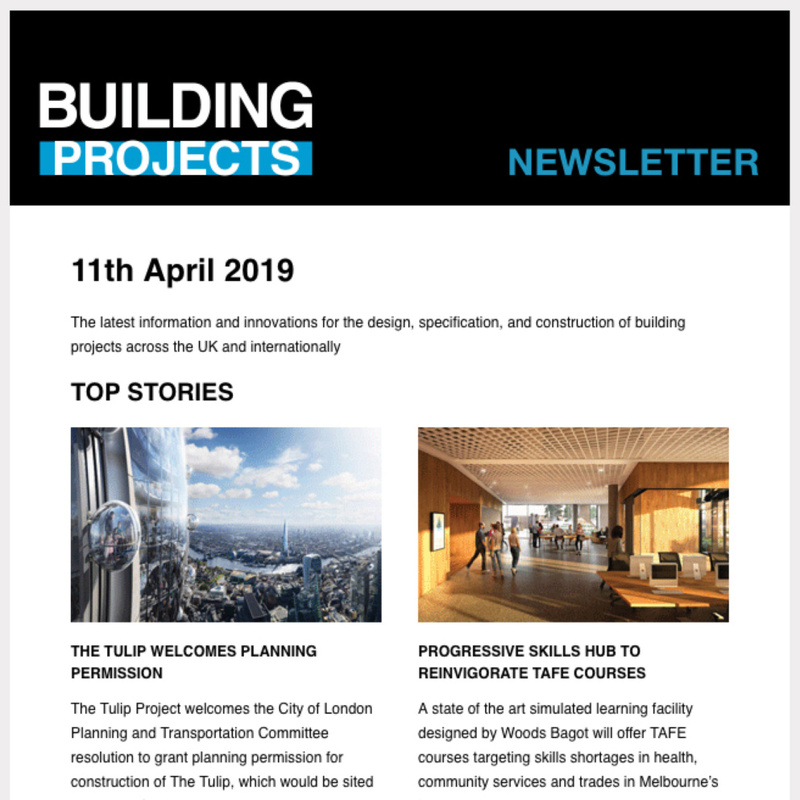 Outside the classrooms on Level 1, a lively promenade with panoramic visual connections to the campus green incorporates seating and collaborative work areas of varied types and scales, offering opportunities for both planned and chance encounters. 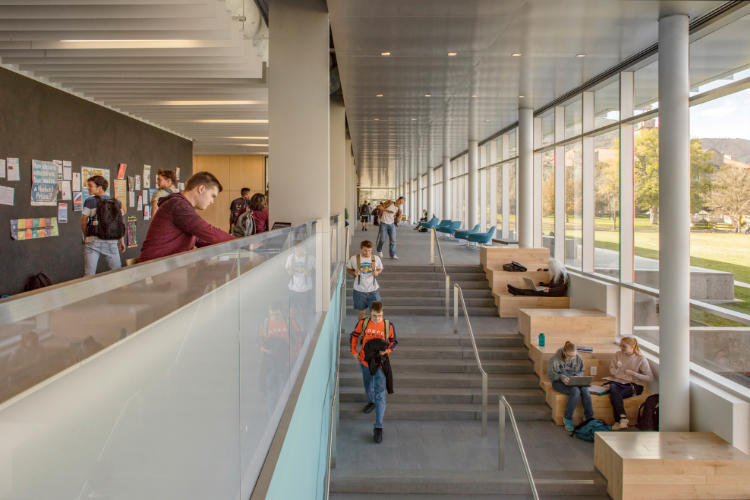 These spaces emulate tech workplaces to create an open, dynamic environment that will prepare students for post-college work life. 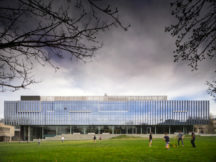 The centre’s complex programmatic requirements, contrasted by the general classroom spaces on the main level, define the building’s organisational logic. 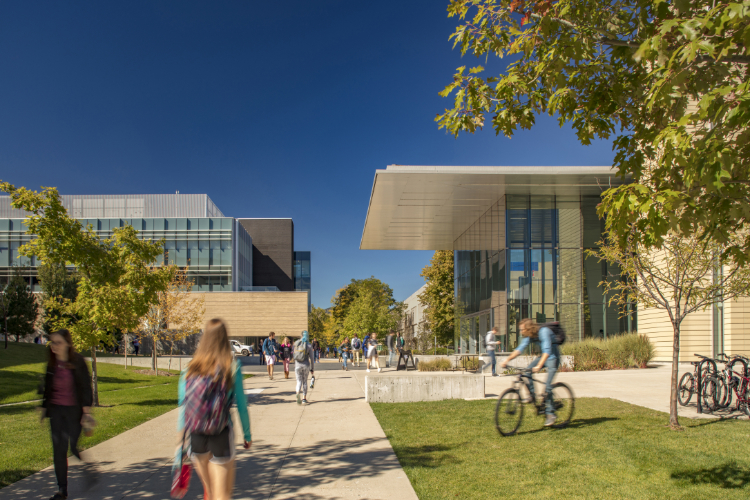 While Level 1 is made available to the entire campus, Levels 2 and 3 contain dedicated teaching and research laboratories, and faculty and graduate student offices. 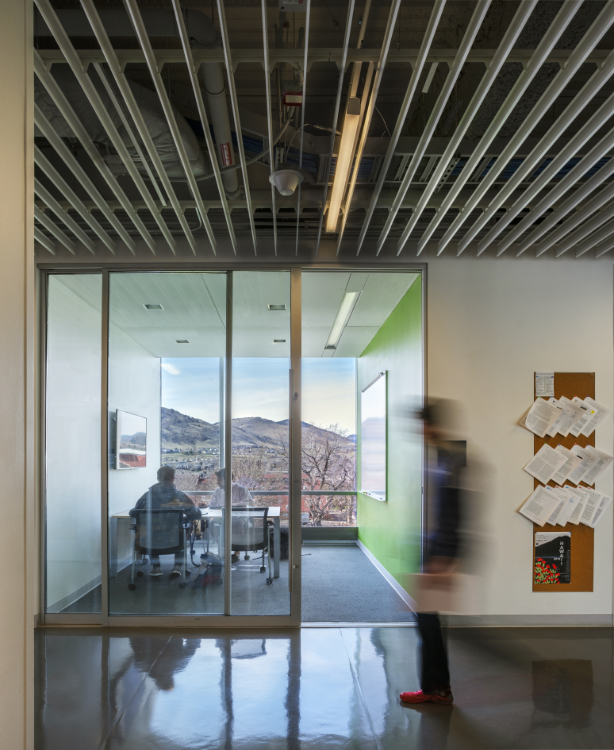 Additional lab spaces with specific lighting, sound, or vibration requirements are tucked below grade. 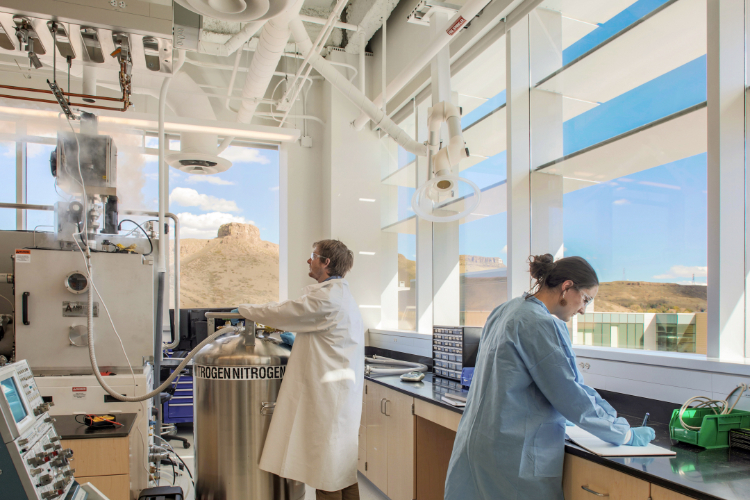 Made possible with a $27 million gift from CoorsTek and the Coors family, the CoorsTek Centre is a world-class facility that celebrates Mines’ institutional needs and vibrant campus setting and will serve as a focal point for the CoorsTek-Mines research partnership for years to come.